And why should our friend mushroom hate this game so much? I’m a broccoli and I look like a tree. I’m a walnut and I look like a brain. 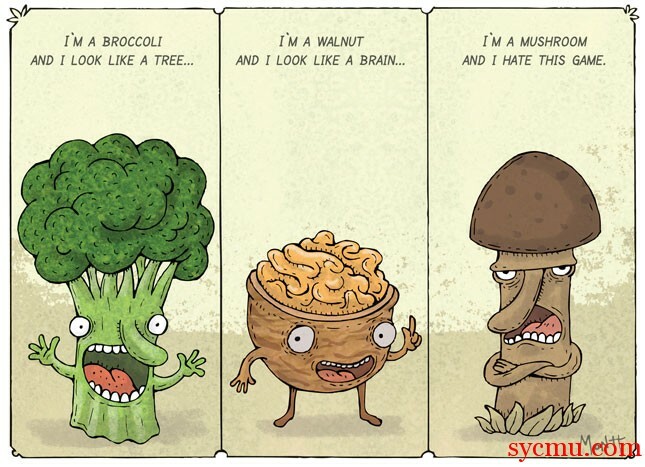 I’m a mushroom and I hate this game!